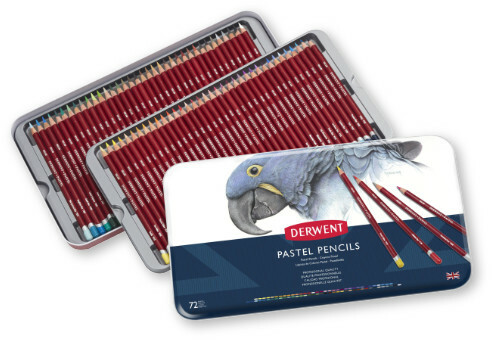 Derwent Pastel Pencils have a soft, powdery texture which produces a velvety smooth finish, ideal for mixing and blending making it easy to move the colour around your drawings using a paper stump, or finger. 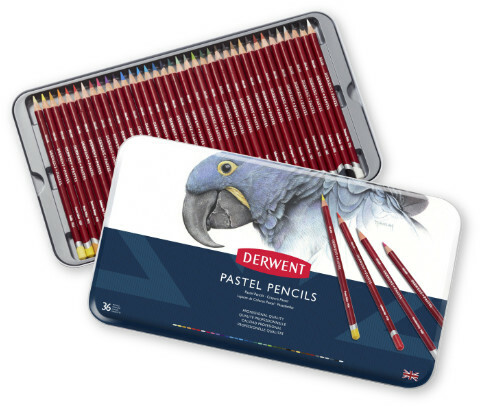 Derwent Pastel Pencils sharpen beautifully either with a sharpener, knife or sandpaper block so you can achieve a good point for finer detail and with 72 vibrant, fully blendable colours you can create a wide range of different hues and tints. 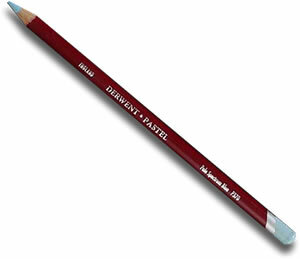 Made especially for Pastel Pencils, Charcoal pencils and other softer core pencils. 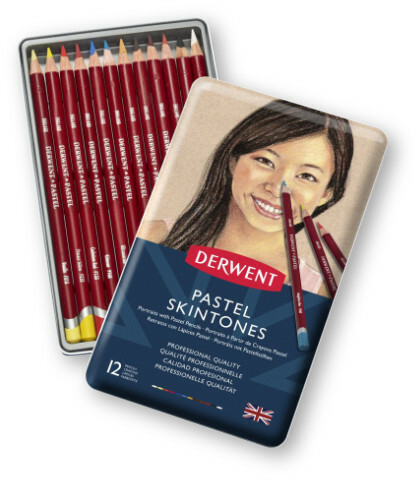 A selection of Derwent Pastel Pencils especially chosen for drawing all types of skin tone. 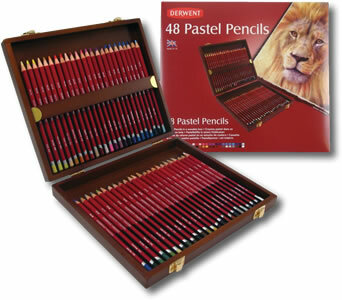 The whole Derwent Pastel Pencil range in a lovely wooden presentation box. P4A Exclusive - Buy this tin and with it you will receive a voucher giving you 10% discount on single pencil refills for a whole year! 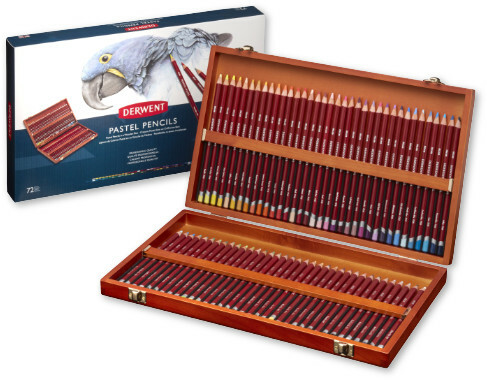 Derwent Pastel Pencils allow you the enjoyment of working with pastel but in a cleaner, more easy to control form. 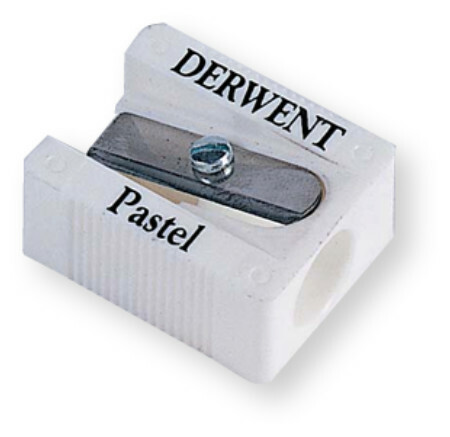 With a range of 72 colours the pastel pencils have a smooth and soft core which can easily sharpen to a point with sharpener, knife or sandpaper.